Free Shipping, No Sales Tax. The New Edition IQAir HealthPro air purifiers are now 32% quieter, deliver 25% more clean air and have 38% longer filter life. 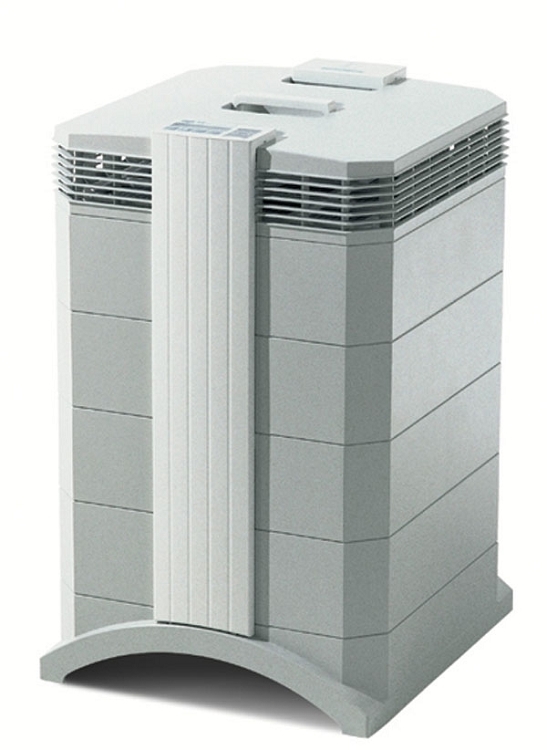 The Same Ultra High-Performance Particle Filtration for Allergy Sufferers in a Smaller Design.The IQAir HealthPro Compact features the same advanced micro- and nano-particle filter technologies as the IQAir HealthPro and IQAir HealthPro Plus, but in a smaller housing to make it more convenient in size for small apartments and offices, only 24" high and 16" square for a very small footprint. NEW: Now comes with a full 10 Year Warranty. Free Shipping and No Sales Tax. Most air purifiers only filter particles larger than 0.3 microns in size, but 90% of all ultra fine particles are smaller than 0.3 microns. This means that most air purifiers are only filtering 10% of the particles in your air. 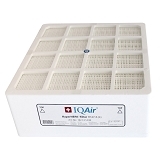 IQAir’s patented Hyper HEPA filters are the first filters tested and certified to filter down to 0.003 microns with a guaranteed minimum efficiency of over 99.5%. This allows your HealthPro to capture the ultra fine particles that other air purifiers miss. 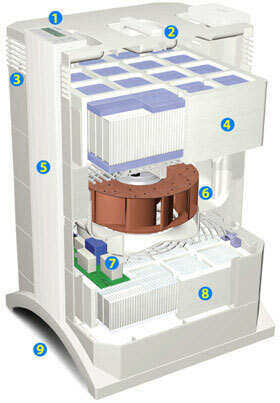 The IQAir Compact is one of the worlds most efficient HEPA air cleaners in its class. 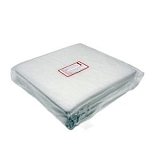 Incorporates H12/13 class certified HEPA filter, normally used in multi-million dollar cleanrooms. This certification under the worlds most stringent HEPA filter test, European Norm EN 1822, is the basis for this air cleaners ability to capture up to 100 times more particles than a conventional HEPA cleaner. 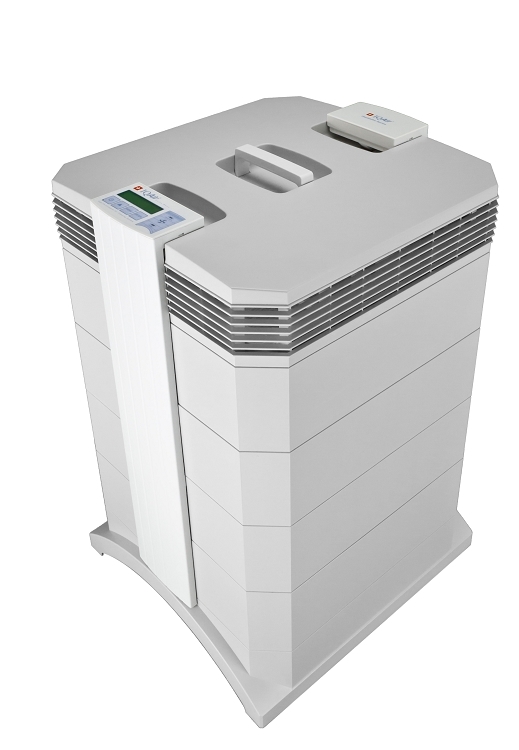 In fact, while other air cleaners are rated only for particles down to 0.3 microns, IQAir systems have been found to remove particles down to 0.01 microns with close to 99% efficiency. All purifiers come complete with filters, remote control, batteries (for remote control), owners manual, set of 4 casters, 10 foot power cord, and certificate of guaranteed performance. Power Requirements 120 V, 60 Hz All electrical components are UL certified. Dimensions H 24" W 15" D 16 "
A few years ago in San Diego, CA there was an emergency situation with fire outbreaks close enough to metropolitan area to create a toxic environment. My wife is susceptible to asthma and it made her very ill. In fact, our miniature maltese also became sick as well. I knew I had to find a top of the line air purifier asap. 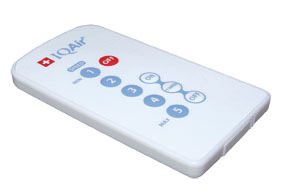 I researched many products and chose the IQ Air Healthpro compact home air purifier. It was expensive but the health of our family comes first.